A whole industry has built up around helping companies move product, store overstock, and manage port drayage with ease. Chances are you’ve heard about 3PL services, but what can they do for you? What are the common 3PL services today? 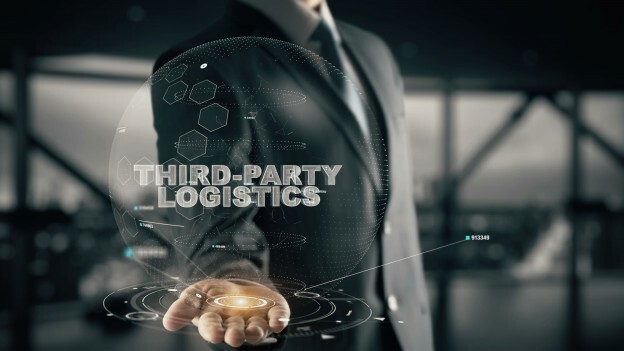 First, the basics: 3PL is short for 3rd party logistics. Licensed and bonded 3PL companies handle and manage cargo anywhere throughout the international supply chain, or execute transportation and warehousing for clients. The term is broad enough to encompass a wide variety of companies that specialize in this one piece of the supply chain. There’s your standard 3PL company, who does the basic job of managing shipping and warehousing logistics. Then there’s a service developer 3PL, who will develop custom IT, security, or tracking implementations in addition to standard logistics. Meanwhile, a customer developer 3PL will not only aid in logistics or develop systems, they’ll take over operations and build out and implement a custom logistics system for their client. For shipping companies and BCOs, 3PL partnerships can facilitate anything from additional support during busier seasons to new software that will streamline analytics and improve efficiency. 3PL providers are especially valuable for companies looking to scale up without taking on huge infrastructural investments and risk. At some point, even successful small- and medium-sized companies need to make advancements that are too big to take on themselves. For shippers, 3PL companies can help manage unloading containers and transport logistics, port-side warehousing of extra stock, middle- and last-mile shipping and fulfillment, or custom software development and implementation — just to name a few. In many cases, 3PL companies have advanced tracking software which collects data and helps provide extra insight into logistics. This software usually costs too much for one company to justify getting developed just for themselves. What’s the difference between 3PL and freight-forwarding services? The dividing line between 3PL providers and freight forwarders isn’t always clear thanks to their similar roles in the supply chain. However, the differences between the two are important for BCOs and shippers. Freight forwarders coordinate a combination of carriers and services to get the best rates for their clients. For example, when your product arrives at the port, a freight forwarder will organize and hire a series of contractors to move it to your warehouse. The freight forwarder is not a service provider themselves, aside from providing the service of organizing other services. In other words, they don’t handle your product directly. On the other hand, 3PL companies plan out and handle logistics for you. Rather than relying on a network of contractors, your 3PL company will store your product in their warehouses, use their software to track it, and tap into their network of trucks to move it along to your warehouse. Why partner with 3PL companies? 3PL service providers are essential for filling gaps in your supply chain. Using a 3PL service instead of contracting a network of service providers along your supply chain helps streamline your practices by consolidating logistics under one roof. For example: Your company is looking to store extra units near the port in anticipation of a demand spike around the holiday season. You can contract a drayage firm to move product to a separate warehouse you hire, then contract a middle-mile shipper to move product to your warehouse — each with their own management software, practices, etc. Or, you can contract a 3PL company with an existing port-side warehouse who can store your overstock and help you transfer and process it. How do you know which is the right fit? The right 3PL partnership is like finding your other half. They complement the way you work and give you support that speaks to their expertise. Request an on-site visit. Before you sign on, you’ll want to check out their facilities to make sure they’re up to snuff. Make sure they keep their site clean and well organized. Do workers have safe working conditions and the technology they need? Take special note of the picking and packing procedures the 3PL provider uses. See what technology they’re using. When you’re comparing 3PL partners, look to see if the warehouse management system (WMS) they use makes sense for your needs. Also, ask about the 3PL company’s IoT enablement, which can help you collect valuable data and streamline fulfillment procedures. Ask your network. Chances are there’s someone in your network who has a 3PL provider they love. It’s equally likely someone has one they did not work well with. Ask around for recommendations! For shippers and BCOs, a 3PL partnership can be a lifesaver. Migrating some services to a logistics team can open up valuable time and resources that enable growth. They can also help your company scale up your operations without making substantial investments in infrastructure. Finding the right partner takes time, but it can make a huge difference in the way your company runs. Learn more about 3PL options. Contact us!